First of all, a message of hope: The choice to quit smoking for good is a step that will have the greatest impact on improving your health. It is never too late to start. Quitting is possible even if you are a long time, heavy smoker and have tried to quit many times in the past. The human body and spirit has an incredible capacity for positive change. The goal of this module is to help you use this capacity to move forward to a future of Living Well Smoke Free. This module has been designed for you. It uses a series of self-reflection exercises to help you to better understand your own smoking habits and your personal quitting goals. It also provides important information and guidance on strategies to help you to quit now or to reduce how much you smoke to make quitting easier in the future. What this new module offers? Section 1 - "Before your journey begins" will help you identify where you are. Section 2 - "On the road to living well smoke free" will help you build a personalized quit plan. A number of annexes will provide you additional information and extra support. Give yourself the right to a healthier future by using this guide. 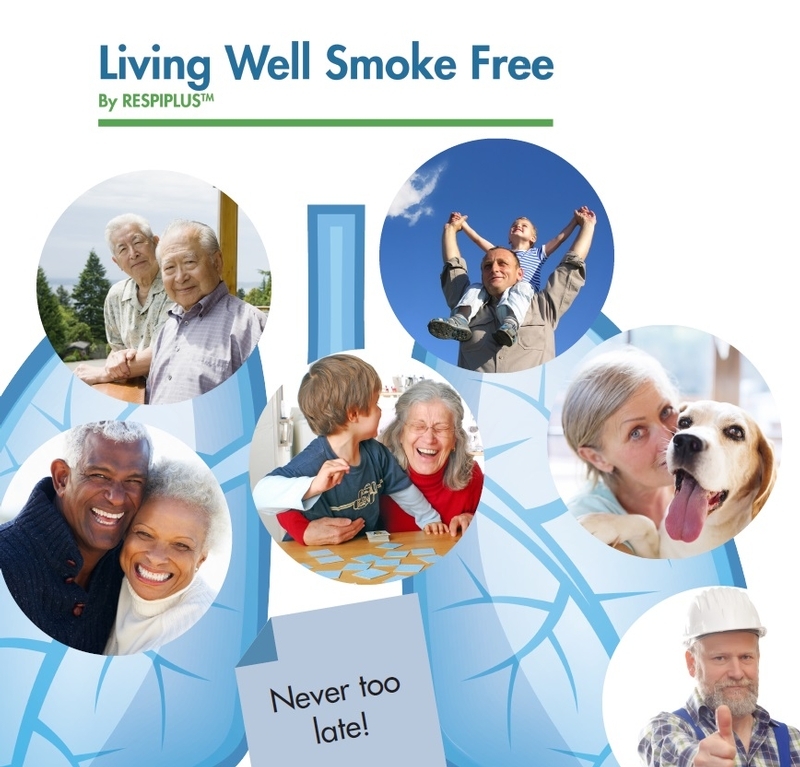 You can also log in to your account at LivingWellwithCOPD.com and consult the program library at the tab Documentation and Tools (section Modules). If you are not yet a member, sign-up, it is Free! Financed thanks to an educational grant from Johnson & Johnson.